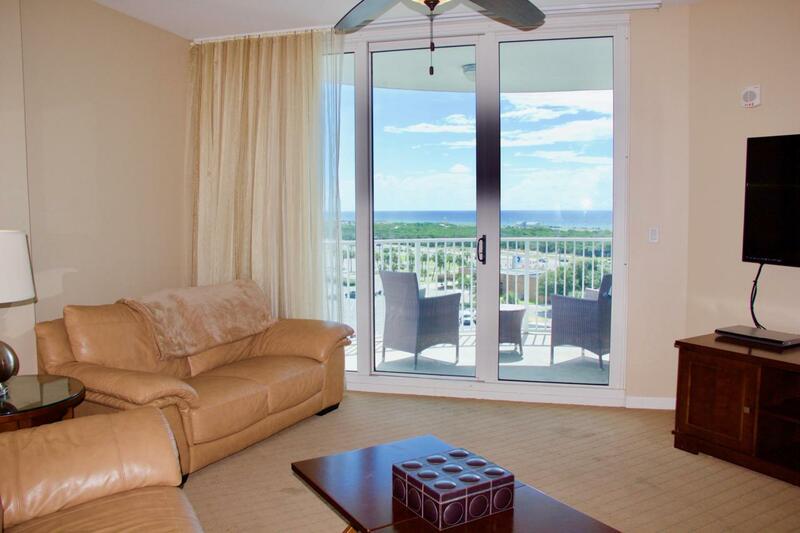 2BR/2BA unit in premier resort in the heart of Destin!! Excellent opportunity for a vacation rental, second or primary home. Fully furnished with upgrades and offering an incredible view of the gulf, bay, and Henderson State Park. The Palms of Destin has amenities galore including a 2 acre oasis with an 11,000 square foot lagoon pool, one of the largest hot tubs in Destin, a kiddie splash area, basketball and tennis courts, playground, large fitness center, and much more!